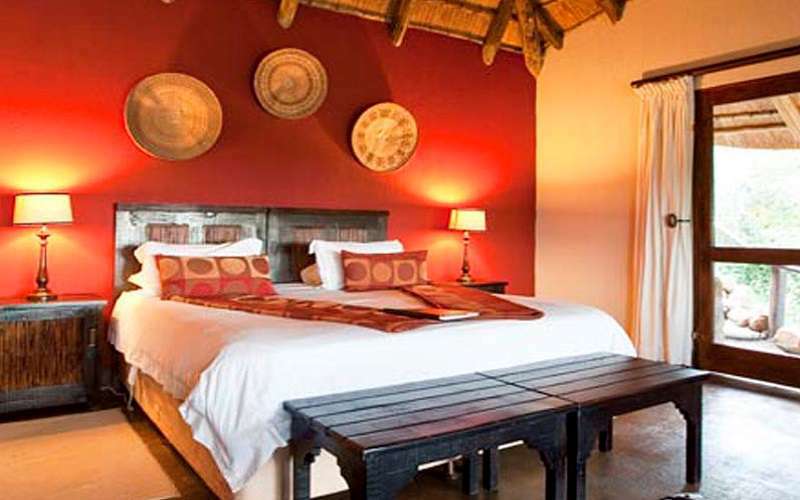 Elephant Rock Private Safari Lodge is the ultimate in exclusive luxury accommodation. 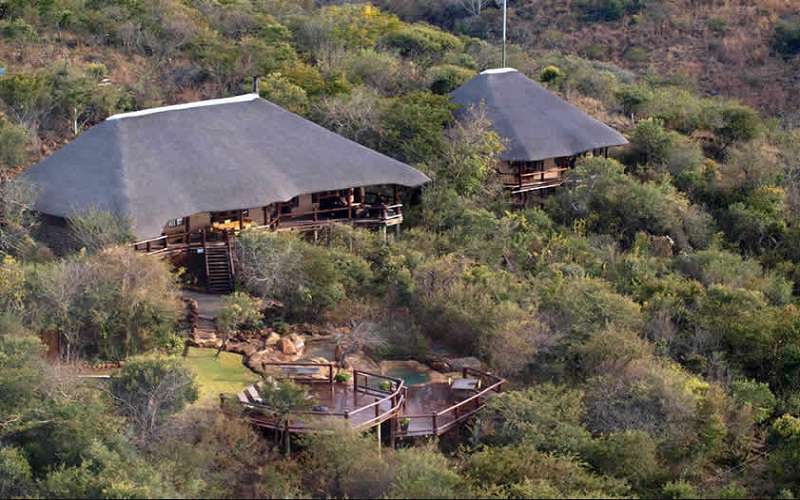 Hidden within an abundance of African flora, this entire lodge only sleeps 10 guests at any one time, ensuring personal attention and dedicated service. 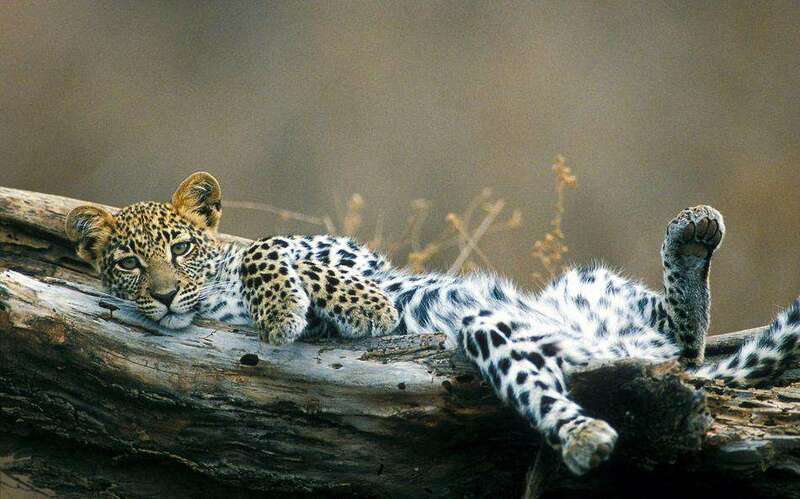 The vegetation includes savannah, thornveld, Acacia trees and grasslands. There is also dense ravine bush along the Sundays River, which boasts two waterfalls, each an impressive 40 metres high. Elephant Rock is situated in the Nambiti Private Game Reserve in the South African province of KwaZulu Natal. 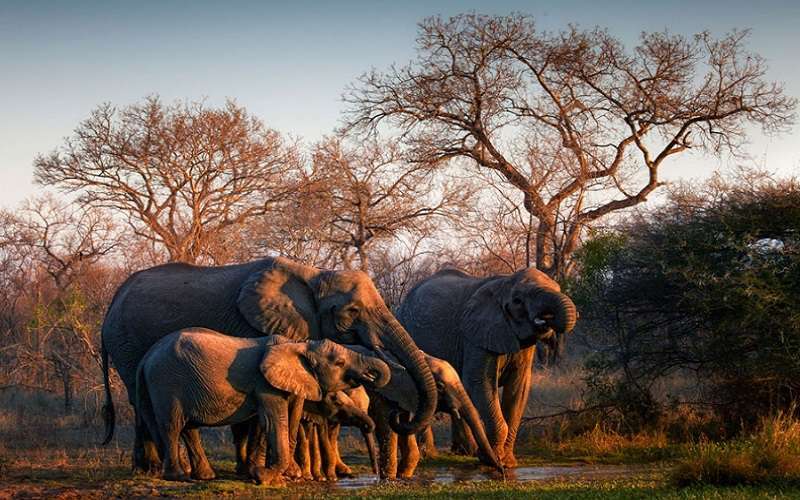 This 10 000-hectare reserve is home to the Big 5 (Elephants, Buffaloes, Lions, Leopards and Rhinos). It is not a malaria-risk zone and is, therefore, particularly ideal for families with children. 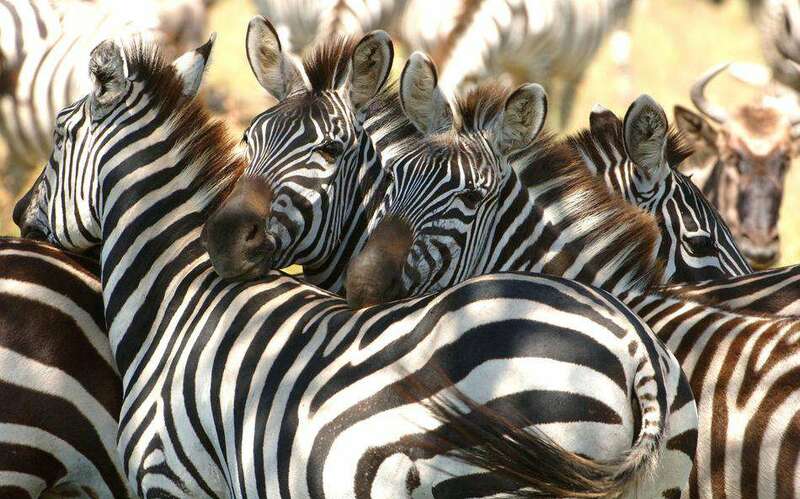 It is situated 2.5 hours away from Durban and 3.5 hours from Johannesburg, making it optimally accessible. 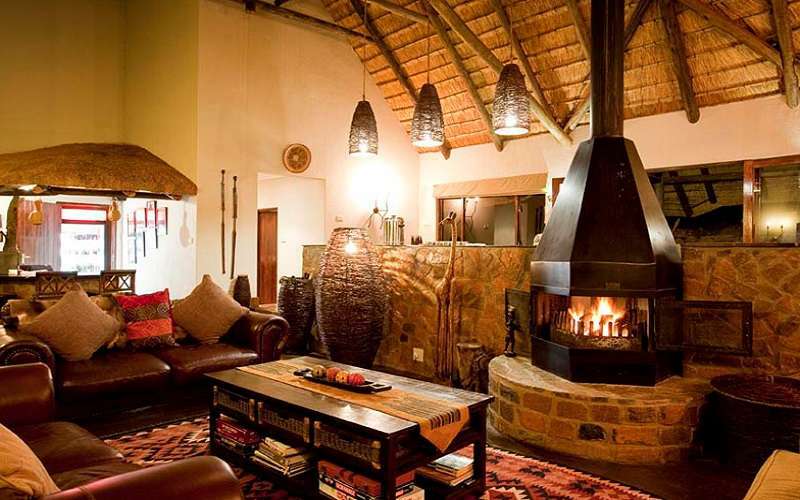 The Elephant Rock Private Safari Lodge comprises five beautifully appointed chalets, each set apart from one another to ensure guests of complete privacy. They are comfortable and inviting, although maintaining their luxurious ambience. 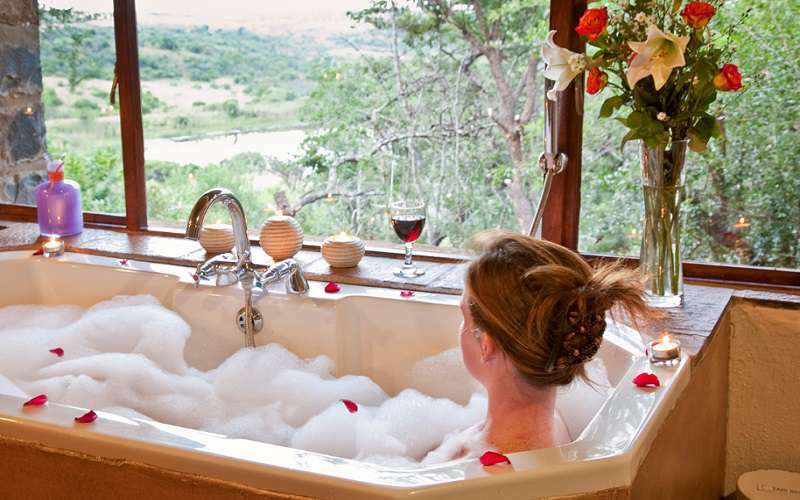 Each is equipped with a bathroom, outdoor shower and a verandah, from where stunning views of the watering hole lure guests to enjoy a glass of wine as they peer out onto the majesty of Africa. 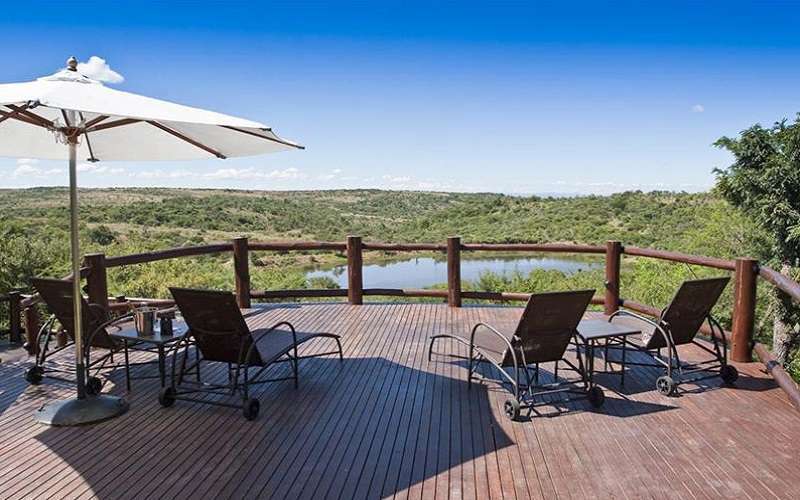 Elephant Rock has a large deck, where breakfasts, sundowners and tea can be served. 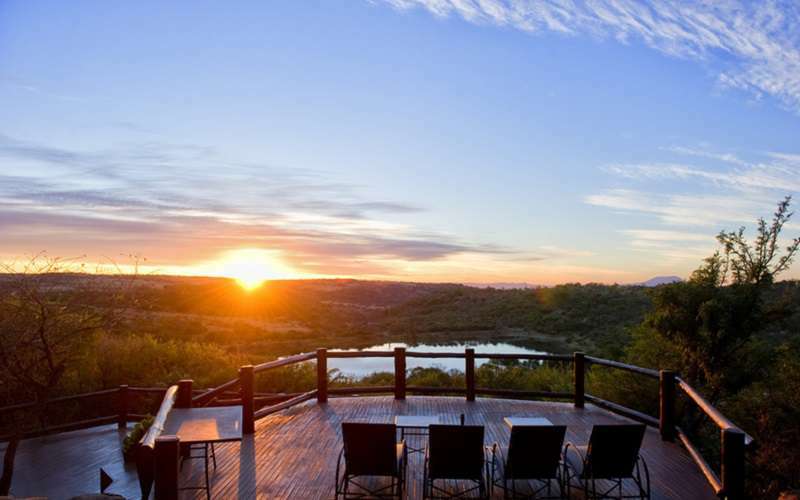 From here, the watering hole is in plain view, creating the ideal vista in preparation for a rewarding day spent exploring the bushveld. After enjoying the sunshine, fauna and flora, the refreshing water of the swimming pool will be a most welcome oasis. There is a bar in which guests may relax with friends or family. Alternatively, the boma and lounge are comfortable venues for sundowners. 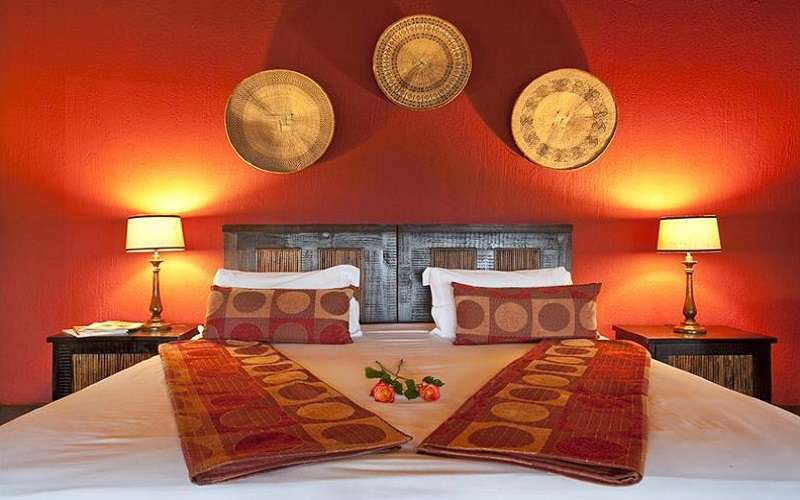 Meals can be enjoyed in the boma for an truly African experience. 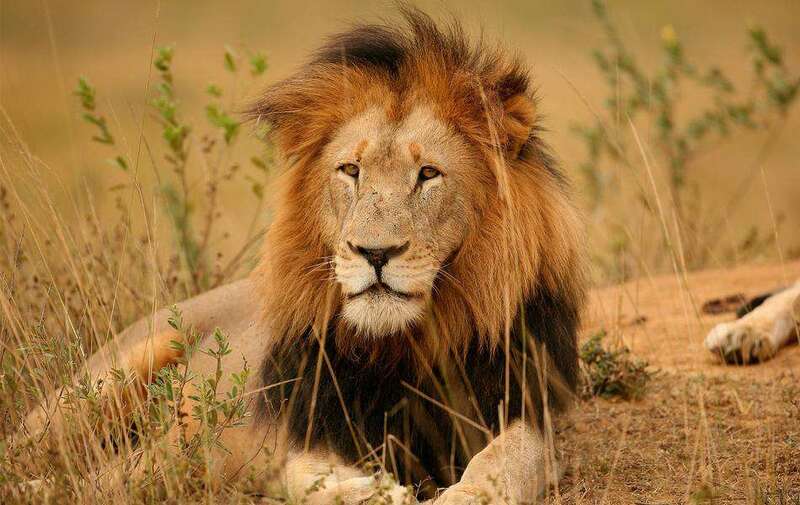 Game drives - two game drives are conducted on a daily basis. These last for three hours, ensuring that guests are able to witness as much of the local plants and animals as possible. Taking a formal tour of the battlefields. 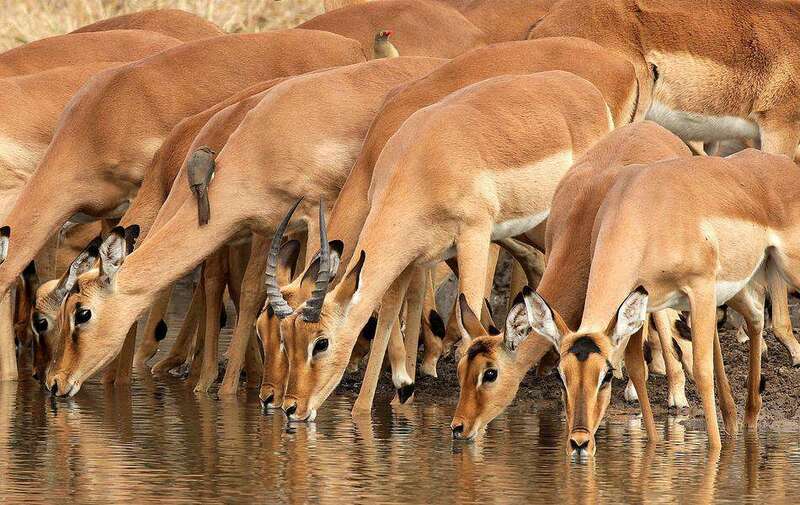 Dining at the waterfall or in the bushveld (by prior arrangement). 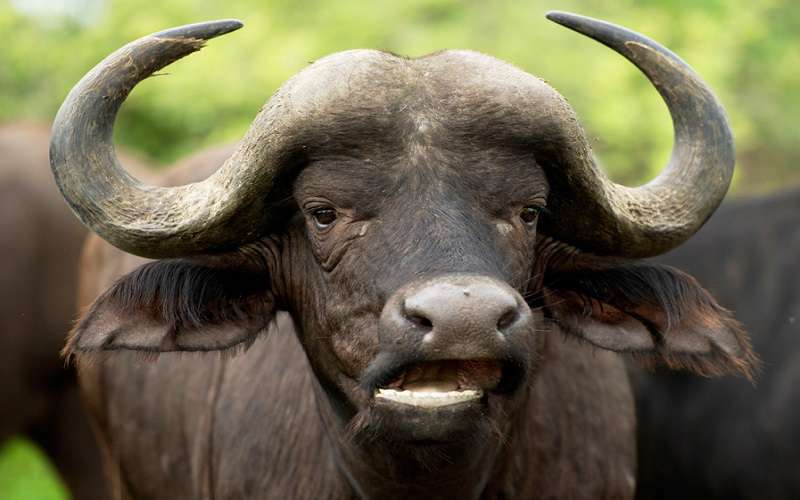 The famous Rorkes Drift and Isandlwana battlefields are situated only one hour from Nambiti Private Game Reserve and promise excellent day trips. Some of South Africa's most violent and deadly battles were fought between the Boere, Zulu locals and British colonialists in the Elandslaagte region in the 1800's. In fact, the historic Battle of Elandslaagte was on the Nambiti Conservancy. Today, the original hospital still stands and the area is steeped in a cultural and historical resonance. 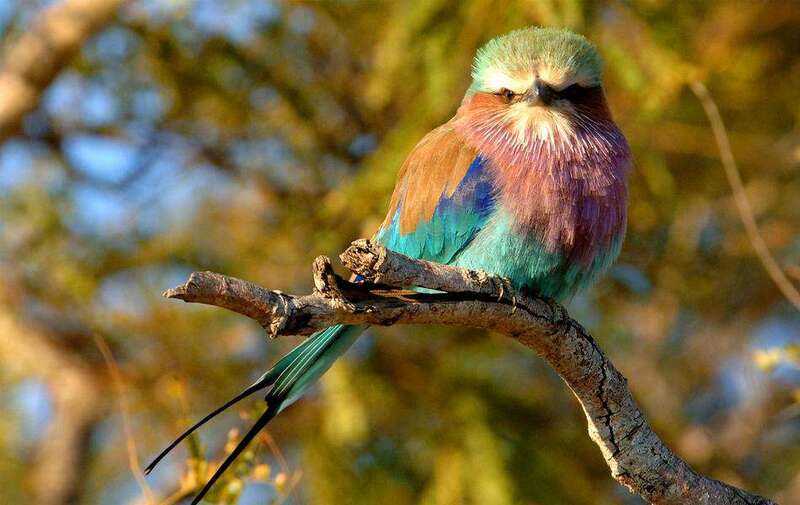 The Nambiti Conservancy is situated 25 km's east of Ladysmith and is only 3½ hours from Johannesburg, 2½ hours from Durban and 40 minutes from the Drakensberg. Please see map for details. From the last traffic lights leaving Ladysmith travel for ± 7kms. Turn Right onto the D45 Road, follow for ± 10Km's, at the T-Junction turn right, travel along side the game fence for 4 Km until you reach the gate-house which is staffed. last robots leaving Ladysmith travel for ± 7kms. Turn Right onto the D45 Road, follow for ± 10Km's, at at the T-Junction turn right, travel along side the game fence for 4 Km until you reach the gate-house which is staffed.